Even he rendered a just decision in the end. So don’t you think God will surely give justice to his chosen people who cry out to him day and night? (v.7). 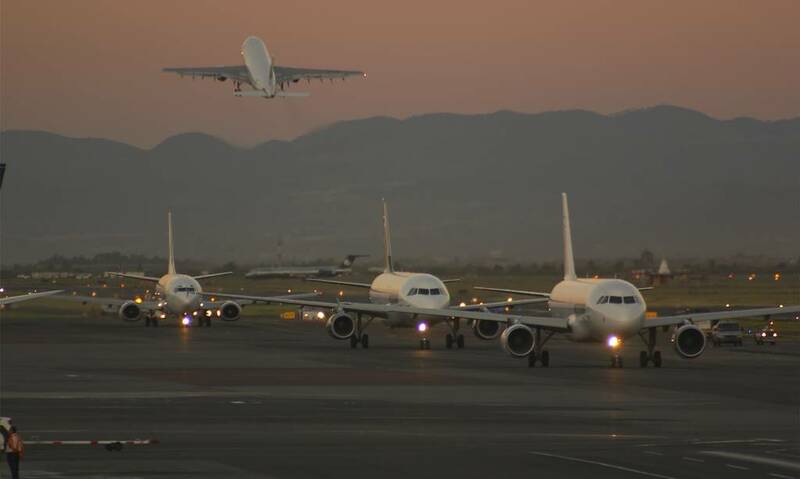 It seems a year doesn’t pass without airports receiving complaints about air traffic noise. In 2016, one airport in particular received 8,670 complaints—with 6,500 of them coming from one person. That’s the equivalent of one person making 18 calls per day for a year! Though this might seem absurd, the airport authorities have responded. They are now working with residents near the airport to “address the air traffic noise”. Though the airport authorities were probably annoyed by the caller’s tenacity, I guess you could say that it eventually proved to be effective. This person’s persistence reminds me of Jesus’ parable about the persistent widow and the unjust judge in Luke 18. A widow had continually come before the judge to plead for justice in a dispute with an enemy (v.3). The judge, who didn’t fear God or care about people, initially ignored her and refused to hear her case. But after she exhausted him with her continual complaints, he finally relented, stating, “I’m going to see that she gets justice, because she is wearing me out” (v.5). Jesus said even the unjust judge “rendered a just decision in the end. So don’t you think God will surely give justice to his chosen people who cry out to him day and night? Will he keep putting them off?” (v.7). In an unjust world, Jesus didn’t want His followers to become discouraged but to consistently and persistently pray for and believe in justice. When we pursue Christ’s kingdom, we can expect opposition and injustice. But we can survive these challenges by persisting in prayer, believing God answers, being faithful in the face of delay and realising ultimate justice will one day come when Jesus returns. Read Psalm 37:27-29 and reflect on our calling to work for justice while trusting in God. What changes can you make in your prayer routine to pray more persistently about injustice? What injustice might God be calling you to commit to pray for?